Whether you’re driving around Eatons Landing, or to nearby Annapolis, you may want a compact car with a stylish design and plenty of amenities. If that’s the case, then our MINI Cooper dealership near Eatons Landing has plenty of MINI models. Whether you’re looking for the MINI Cooper Convertible, the Clubman, or the Hardtop 2 Door, we’ll help get you in the car of your dreams. 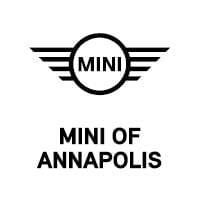 Along with new models, our team at MINI of Annapolis has plenty of used sedans, crossovers, and SUVs for you to choose from, as well as certified pre-owned (CPO) MINI vehicles. With a CPO, you’ll get an automobile that’s less than five years old and has undergone an extensive, multi-point inspection to make sure it’s in quality condition. When you find your perfect new MINI Cooper, you may need help with financing it. That’s where our experts come in. 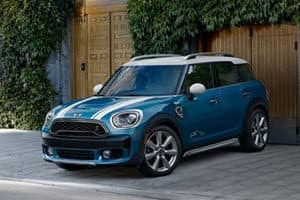 Our MINI Cooper Financing Department near Eatons Landing has years of experience working with drivers like you get the right MINI for your daily needs. We’ll meet with you one-on-one to determine what those needs are, along with the budget you had in mind. We’ll then come up with a payment plan that you’re satisfied with. Afterwards, we’ll reach out to local banks and lenders to get you the loan or lease terms that you deserve. No matter what, we’ll be with you throughout the entire car-buying process, answering any questions you may have so you can feel good about your purchase. And you can get started today by filling out our secure finance form to get pre-approved. After you drive your new or used vehicle home, you’ll want to keep it running for as long as possible. When you bring your vehicle to our MINI Cooper Service Center, our certified technicians will work hard to get your car in tip-top shape. They’ve been working on MINI models for a long time, and can answer any inquiry about the inner workings of your model. They’ll use only genuine parts and will work quickly and efficiently in our state-of-the art facility to get you back on the roads of Eatons Landing as soon as possible. 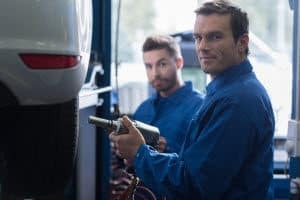 If your vehicle needs service, whether that’s an oil change, tire rotation, or anything else, you can schedule an appointment today. Simply give us a call or make an appointment online, and we’ll confirm a day and time that work best for you. Our MINI dealer has been serving drivers like you in Eatons Landing for many years, and we pride ourselves in offering beneficial customer service. If you need more information, or would like to test drive any of our vehicles, contact us at MINI of Annapolis today! Eatons Landing is a small area in Anne Arundel County, MD, and is located just outside of Annapolis. When you want to visit the big city for some history at the Annapolis Maritime Museum or some shopping at the Annapolis Town Centre at Parole, you’ll need a reliable vehicle to get you there. At MINI of Annapolis, we’re proud to service drivers around Eatons Landing as a reliable MINI Cooper dealership with an array of dependable MINI models, along with a friendly and professional staff to help guide you throughout the buying journey. Don’t hesitate to reach out to our team today!